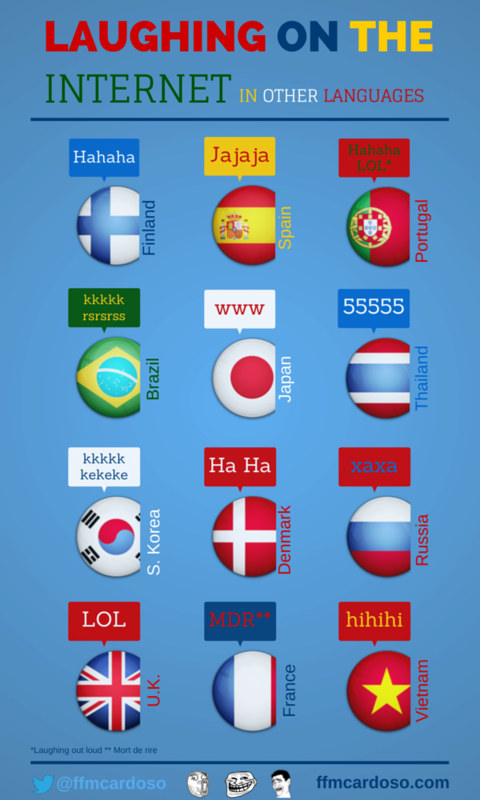 While communicating with friends from all over the world I have been realising that each country has their own specific way to laugh so I thought it could be interesting to put a few together in an Infographic. 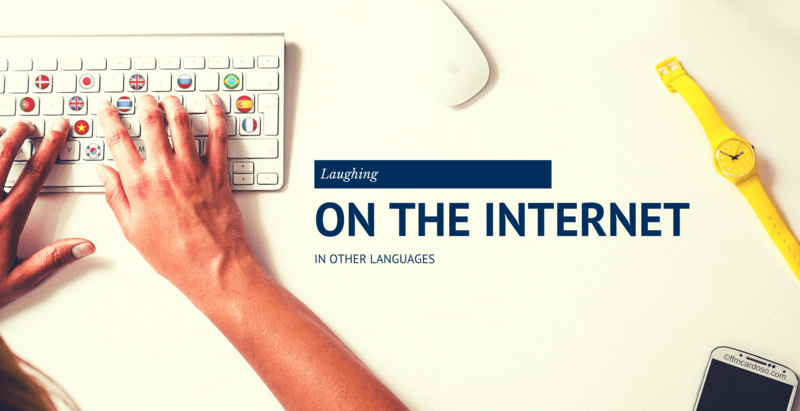 How do you laugh in your language? Is it any different? Drop me a line on the comments below, I would like to add more to the list. Muy interesante, me gusta.. La verdad es que es un post distinto y original! Sigue así crack! La risa es universal, seguro.. Gracias por sacarme de una duda existencial porque hasta ahora creía que LOL era Lot of Love! Parabens! !